SAVE & PRINT THIS EMAIL! Keep this email for important upcoming dates and recital & rehearsal information. It's getting to be crunch time at the studio. The 10th Annual spring recital is just around the corner. I know it gets crazy this time of year for everyone, thinking about summer plans and even the fall. But let's just take a deep breath together and think about how amazing it's going to be to watch the kids shine up on the stage. I hope you are as excited as we are. Below is a lot of information, I know. But it'll help you navigate this whole process, leaving you with hopefully not a single question. I strongly suggest you print this email and save it, so that you're informed about picture week in classes (May 13-16), rehearsals (June 6), ticket sales (May 15), etc. This is something you will find yourself referring back to, so please keep it handy. If you do lose it however, all this information will also be available on the website under the "Recital" tab as soon as we can. 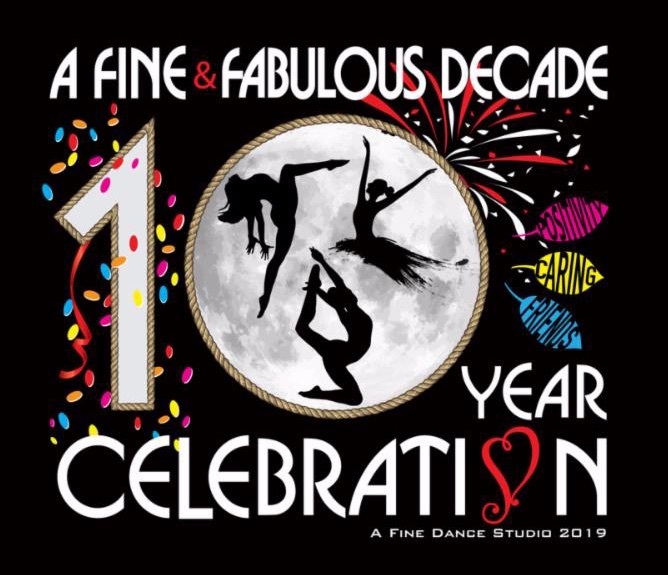 Our theme for our 2019 show is " A Fine & Fabulous Decade " which is a celebration of the exciting 10th Anniversary of our studio and all the memories and life long friendships we've made along the way. The t-shirt design will blend all 9 years of recital themes into one design. Each performing dancer receives a recital t-shirt as part of their costume/recital fee. This t-shirt is worn in the finale of the recital over their costumes, so each dancer should label their t-shirt with their name inside and bring it with them to recital. As always, thank you for being part of our A Fine family! 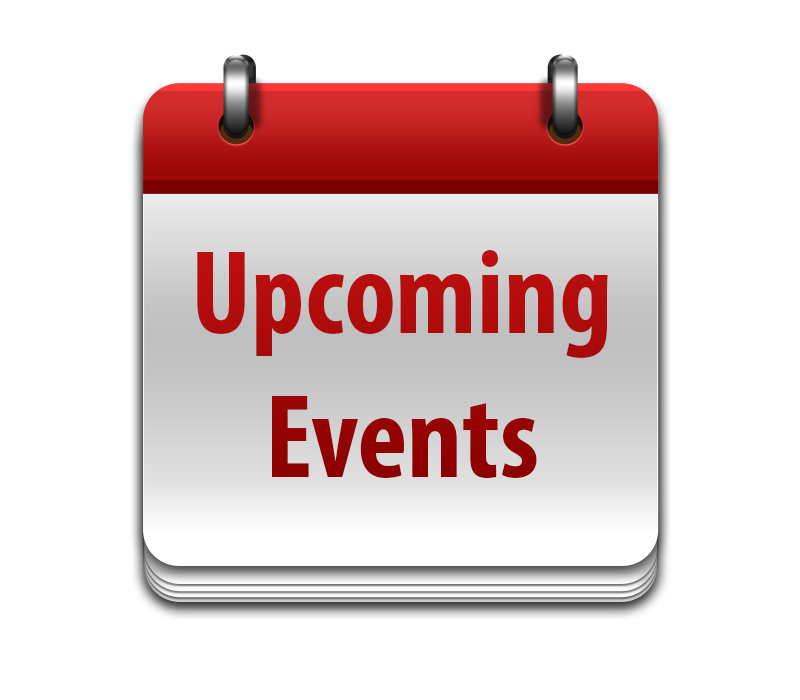 Click the link below to see what important dates are upcoming and which recitals you are in. Please print this PDF as it'll be helpful for the remainder of the year so that you don't miss anything important. Tickets are going on sale May 15th online ONLY. Tickets are $20 each. Visit our TICKET ORDERING PAGE and follow the ticket sale prompts on May 15th. It won't work before then. Place the order for as many tickets as you want and we will do our best to get you that many. We like to make sure everyone gets a chance at 5 tickets first, but then after we are sure everyone had their chance we give out the most tickets we can based on your online request. ﻿ only submit once you are sure. IF YOU NEED A "HANDICAP SEAT" (this will require a wheelchair) there is no seat in this spot, so the person must have a wheelchair. NOTES : Please feel free to use the notes section of the ticket form online to tell us anything you need to. 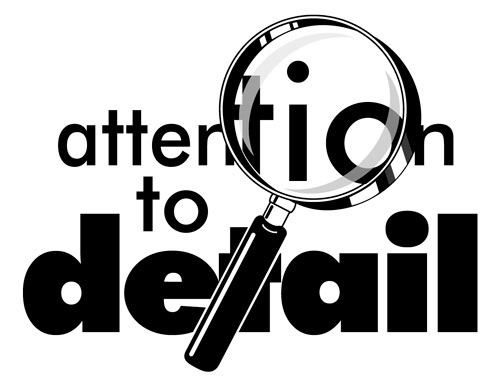 We review all orders and notes before submitting the final order. Thank you in advance for your understanding and cooperation. It's going to be an amazing show. The kids are working so hard and will make you proud. We rehearse youngest to oldest but need to give the kids a real life experience so they are prepared for what it's like to wait backstage and go to the bathroom, etc. When the kids aren't rehearsing, they are watching the other dancers or taking a tour of the facility with our AFDS faculty members. This helps them get acquainted with the facility and our procedures, safety protocol and more. For the safety of your children and the efficiency of our rehearsal, family & friends will not be permitted to enter the auditorium area. We like to run a tight ship and it's impossible to stay on track and organized if there is a parade of non-dancers coming into the theater. Always wait in the lobby and your child will be brought out to you. The week before rehearsal we will send you details about what to bring and what else to expect.